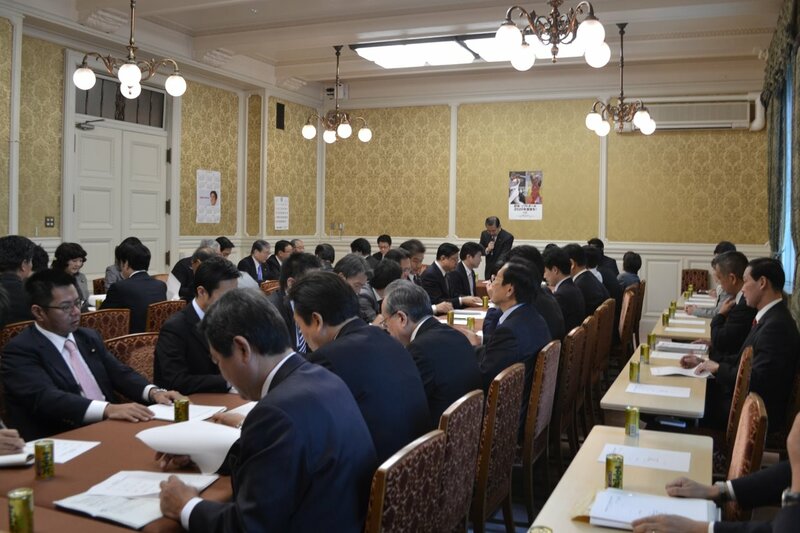 Sixty-four members of the ruling Liberal Democratic Party (LDP) agreed to launch a committee to support baseball-softball’s inclusion at the 2020 Olympic Games in Tokyo. It’s not the first time Japan’s LDP has mixed sports and politics: the party made worldwide headlines across sports, business and politics back in May when party leaders called for the expansion of baseball as a means for economic stimulus and to fight deflation in Japan. The LDP’s recent announcement follows increasing worldwide support and outcries to have baseball and softball make their return at the 2020 Olympic Games in Tokyo. Baseball and softball were removed from the Olympic Games after the 2008 Beijing Games. The former Olympic sports have experienced a fresh wave of globalization in recent years and have long formed a large and historic part of Japanese society, traditions and culture, and are the most popular sports in the nation. The members elected Kensei Mizote (72) as president, Tsuneo Horiuchi (66) secretary general and Hiroo Ishii (50) deputy secretary general. Ishii was a member of the Japanese National Baseball Team at the 1989 Intercontinental Cup and played professionally for Kintetsu Buffalos. Horiuchi is confident that the inclusion of Japan’s two most popular sports in the 2020 Tokyo Olympic Games will serve to enhance the value and ideals of the Olympic movement, especially among young people and women. Horiuchi also said the staging of baseball and softball on the world’s biggest sporting platform will help commemorate the recovery from the 2011 disaster in eastern Japan and help symbolize Japans appreciation of the generous assistance and support of the global community to overcome the natural disaster. Horiuchi was a key member of the Yomiuri Giants in Japans top league, Nippon Professional Baseball, during their nine consecutive championship seasons and was inducted into the Japanese Baseball Hall of Fame in 2008. Riccardo Fraccari, President of World Baseball Softball Confederation (WBSC), the world governing body for the sports, also welcomed the support. “The WBSC is honored and fully welcomes the support of Japan’s Liberal Democratic Party members to help restore baseball and softballs Olympic dreams,” said baseball and softball’s world leader. The Baseball/Softball family under the WBSC, along with other sports federations, is awaiting the outcome of the International Olympic Committee's review -- to be announced in December at a special Session in Monte Carlo -- on the process for adding/dropping sports to the Olympic program, which may allow a new opportunity to have the bat-and-ball's Olympic status restored in time for inclusion at the 2020 Olympic Games in Tokyo.